A catalyst speeds up a reaction by providing the reactants with an alternate pathway that has a lower activation energy, as shown in the diagram above. Notice that the only difference between the catalyzed reaction and the uncatalyzed reaction is that the energy of the activated complex is lower for the catalyzed reaction. 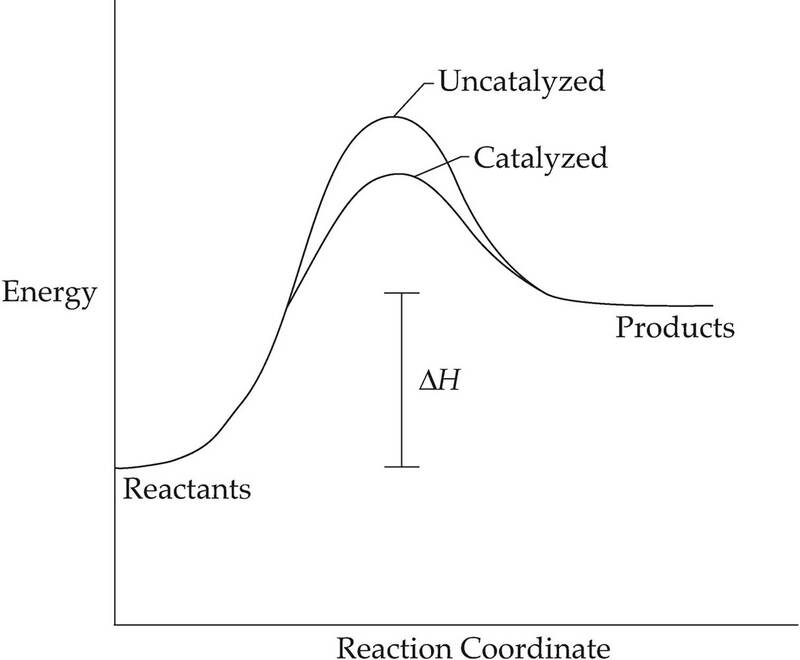 A catalyst lowers the activation energy, but it has no effect on the energy of the reactants, the energy of the products, or∆H for the reaction. Also note that a catalyst lowers the activation energy for both the forward and the reverse reaction, so it has no effect on the equilibrium conditions.